Hi Ladies - I'm Geraldine - welcome to my shop ! We provide expert bra fitting in a beautiful old-fashioned lingerie shop, and we have made our collection of lingerie, and our expertise, available online. If you have any problems or questions please feel free to give us a call this is one of the few sites where you can talk directly to a professional bra and breast forms fitter. We stock a wide range of lingerie, and carry many lines you will not find readily in the high street. This is because we also try to cater for those women who have trouble finding bras to fit them properly. No matter how tricky you think you are - we can probably help you out. Our shop is in Altrincham, Cheshire (in South Manchester), and we serve customers from across the whole of the UK. If you visiting our shop we strongly recommend booking an appointment, as we get very busy, especially on a Saturday. 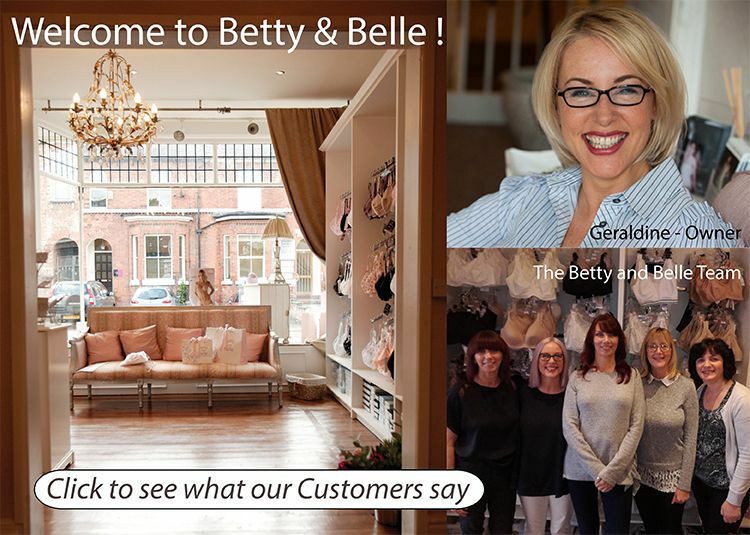 We have years of experience in fitting women who have never found the perfect bra before, or are dealing with the after effects of breast cancer, and can almost always help.